Look at all this study! 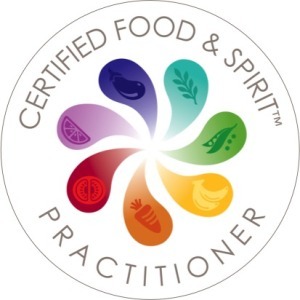 I'm currently training as a certified Food & Spirit™ practitioner under the wing of world-renowned nutritionist and functional medicine doctor, Dr Deanna Minich, and I couldn't resist sharing with you a little about this exciting journey I'm part of right now. I believe that health is a 'whole life' experience so right now I'm learning (and living!) a remarkable holistic framework of health, which fuses the latest research in nutritional science with the wisdom of traditional healing systems, to look beyond the physical impact of nutrition and eating habits, and into the nourishment of all aspects of our mind-body wellbeing. I will be integrating this work into my practice at Gut Reaction fully in the New Year. It's certainly connecting a lot of dots for me between the food we eat and lifestyle habits, our bodily functions and physical wellbeing, and importantly our psychology, thoughts, moods and emotions. Over the coming weeks, I shall be posting nuggets of information on my private Facebook group Guzzle Guts, as I work through the seven fundamental dimensions of health.